Richmond is a town in Washington County, Rhode Island, United States. The population was 7,708 at the 2010 census. The villages of Alton, Arcadia, Barberville, Carolina, Hillsdale, Hope Valley, Kenyon, Shannock, Tug Hollow, Usquepaug, Wood River Junction, Woodville and Wyoming are located (or partially located) in Richmond. The village of West Kingston, Rhode Island, although not a part of Richmond, is often associated with the town as well. Students in Richmond are part of the Chariho Regional School District. 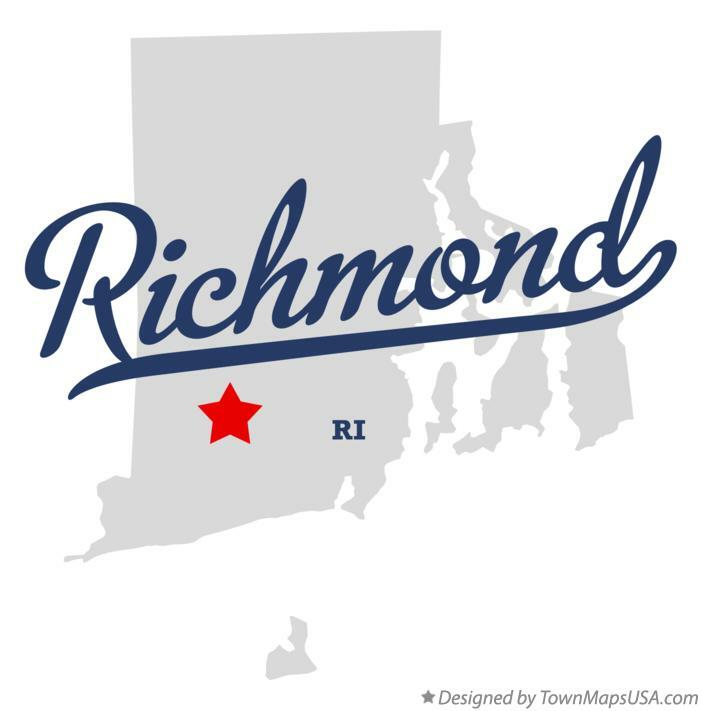 The town of Richmond was originally part of the territory of Westerly, Rhode Island (1669 to 1747), which remained in dispute for several years between the British colonies of Rhode Island, Connecticut, and Massachusetts. In 1665 Charles II, the King of England, dissolved the different charters of the three colonies in dispute, assumed governance, and renamed the area King's County. In May 1669, the General Assembly of Rhode Island and Providence Plantations organized King's County into the town of Westerly. After this the town of Westerly organized itself into four separate areas: Westerly, Charlestown, Richmond, and Hopkinton. Richmond was incorporated as a separate and distinct town in 1747. It is bounded on the north by the town of Exeter, on the west by the Wood River, which separates it from Hopkinton, on the east by the towns of Exeter and South Kingstown, and on the south by the Pawcatuck River, which separates it from Charlestown.